Is “free agency” really free? The gift of agency is a crucial and fundamental element of the plan of happiness, and agency can only be exercised when alternative choices are possible. As Lehi explained, "it must needs be, that there is an opposition in all things." Without such opposition "righteousness could not be brought to pass, neither wickedness, neither holiness nor misery, neither good nor bad" (2 Ne. 2:11). In our lives, the importance of learning to make correct choices and use our agency wisely is part of our personal progression. 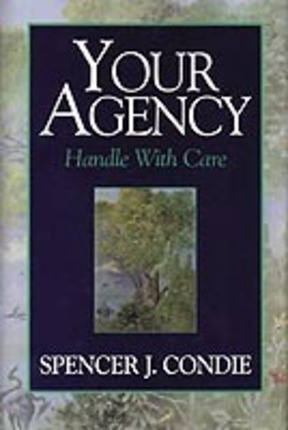 Elder Condie teaches powerfully in this book the pervasive importance of agency in each of our lives.